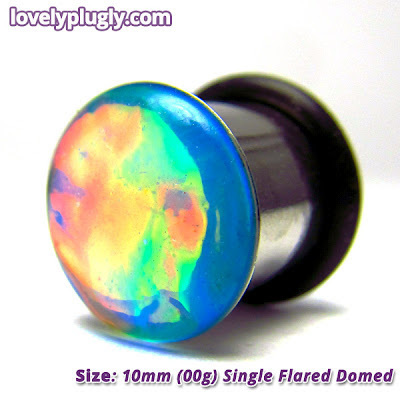 These were made a while back for a friend who wanted some Chromatic Death plugs in Barclays Bank blue. We liked them so much that we decided to make them part of our permanent range, and our friend christened them 'Overkill' because if this plug was a band, it would be Motörhead. Löud. Available in 3mm (8g) - 24mm (1" Small). 10.5mm (3/8") or 12mm (1/2") long, depending on batch.